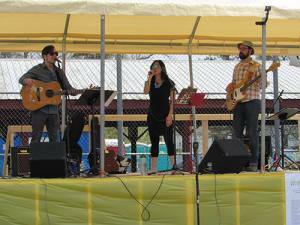 A local band called “After Market” played at the spring event. 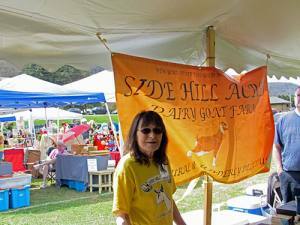 Rita Kellogg of Side Hill Acres Goat Farm in Candor participated in the event. She is also the president of the Candor Chamber of Commerce. The Candor Chamber of Commerce held their first Daffodil Festival on Saturday, May 5 on the Candor Ball Park at the corner of McCarty Street and Spencer Avenue. The event was sponsored by the Candor Chamber of Commerce, but a portion of the proceeds benefited the Candor Resource Center food pantry. Over 80 vendors were on hand. 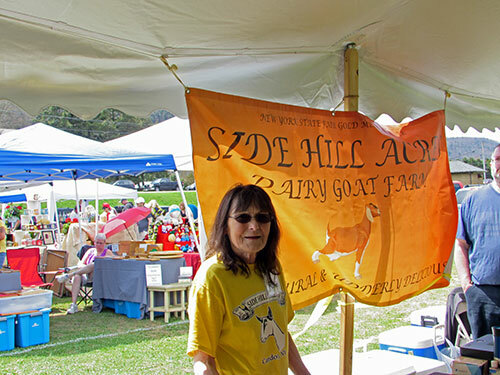 Agricultural businesses such as Side Hill Acres Goat Farm provided cheese tastings, and Finger Lakes wineries and craft breweries provided tastings. There were also several food and refreshment vendors, crafters, antique dealers, home party vendors, local bands, and Candor Friends of the Library provided books for children. 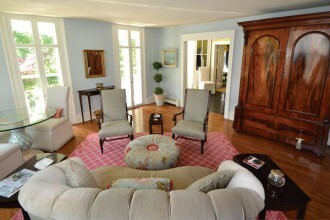 The Daffodil Festival coordinated with the 10th annual Daffodil Daze, held at the Zamoiski home on 292 Candor Hill Road. 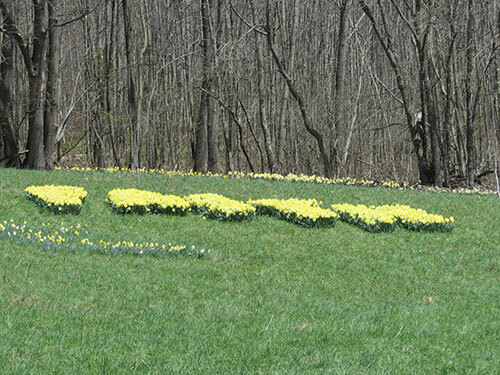 The Zamoiski invite folks to come visit the over 54,000 daffodils planted on the property in honor of their mother Joy Zamoiski. Daffodils around a pond on the property. Photographers capturing the beauty of the flowers. 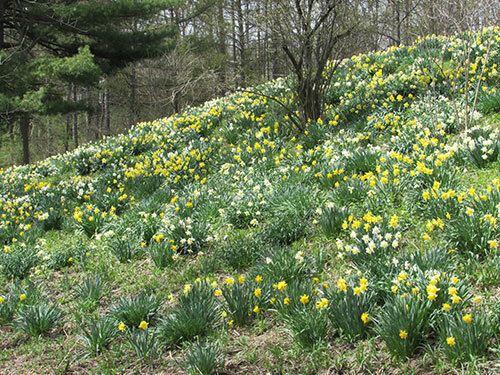 Daffodil Daze went on for two weekends; April 27-29; and May 4-6. 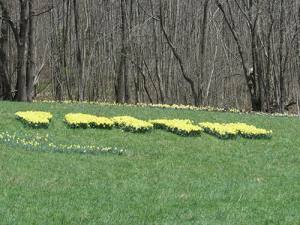 There are over 170 varieties of daffodils, 5 words spelled out in daffodils, 19 distinct mixes and a breast cancer ribbon in daffodils. 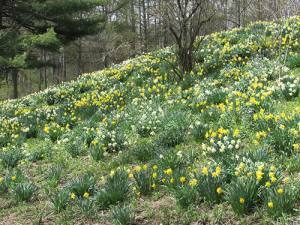 According to literature available from the family daffodils symbolize rebirth and new beginnings, and are virtually synonymous with spring. 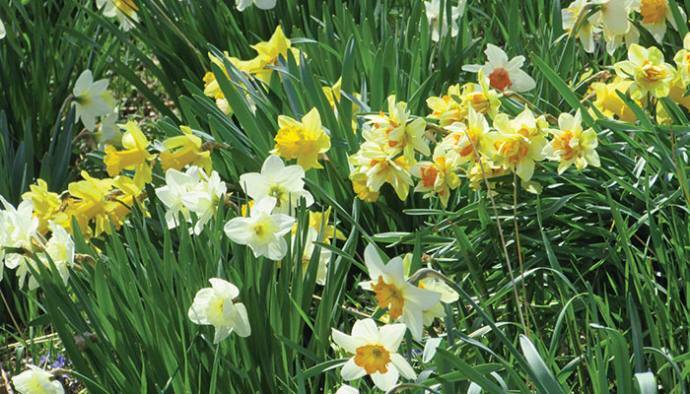 Though their botanical name is narcissus, daffodils are sometimes called jonquils. 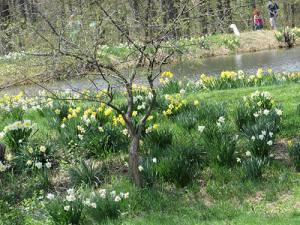 When the two weekends are over the family follows Joy Zamoiski’s example, and with the help of volunteers who pick and help the family deliver the daffodils to nursing homes, hospitals, hospice, and shut-ins. 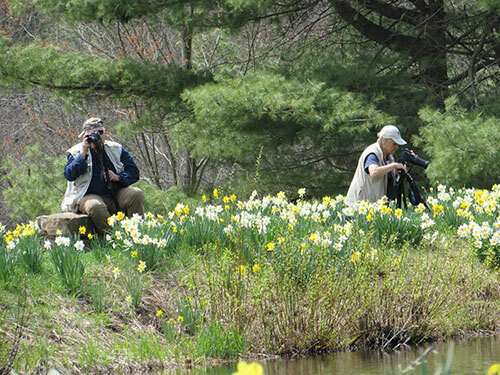 The 2019 Daffodil Daze will be held April 26, 27, 28 and May 3, 4, 5. Be sure to some observe the beauty for yourself.